•	Compatible with SNMP and Modbus cards. 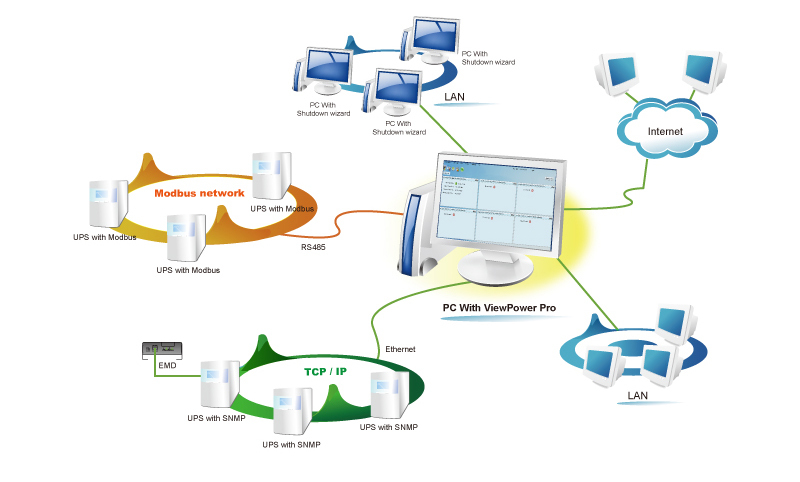 •	Centralized control and monitor up to 1000 UPSs in LAN, Internet, or serial networks. •	Allows simple remote monitoring via web browser. •	Offers user-customized background picture for graphic view with simple drag and drop. •	Scheduled UPS on/off, battery test, and scheduled wake on LAN programs.